- “At a time of such anguish, it is difficult to adequately convey the depths of our moral revulsion for an individual who was so motivated by hatred that it led him to mass murder,” the Chief Rabbi said. - “We must also be honest enough to recognise that there are places where the scourge of homophobia persists, even in our own communities, and that is totally unacceptable,” Where hate is religiously motivated, he wrote, faith leaders carry “a particular responsibility to act”. 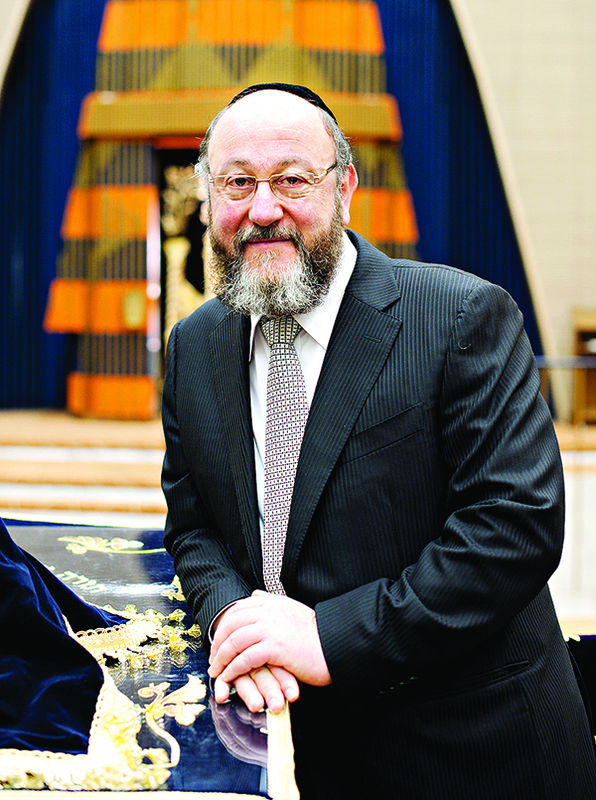 6/16/16- Jewish News of Britain- The Chief Rabbi has called on synagogues under his auspices to do more to “open their hearts” to gay community members in the wake the murder of 49 “precious” innocents in the attack on a Florida nightclub, writes Justin Cohen. Ephraim Mirvis insisted the Torah, while taking a “clear position” against homosexual acts, “leaves us in no doubt about our responsibility to provide a welcoming environment in our synagogues and beyond for all Jews” regardless of religious levels or sexual orientation. It came after the worst mass shooting attack in American history as ISIS-inspired gunman Omar Mateen attacked the gay club in Orlando last Saturday night, leaving a further 53 people injured before he himself was killed in a gun battle with police. Message of anguish, condemnation and tribute have poured in from around the globe while vigils were held worldwide including an unprecedented show of support in Soho. “At a time of such anguish, it is difficult to adequately convey the depths of our moral revulsion for an individual who was so motivated by hatred that it led him to mass murder,” the Chief Rabbi said. “We must also be honest enough to recognise that there are places where the scourge of homophobia persists, even in our own communities, and that is totally unacceptable,” Where hate is religiously motivated, he wrote, faith leaders carry “a particular responsibility to act”. Reform Judaism, Liberal Judaism and the Board of Deputies are among those to have condemned the attacks, widely described as America’s ‘worst ever’ mass shooting, and declared solidarity with the US and the global gay community. Keshet, the Jewish LGBT, and Liberal Judaism called for similar inclusion and described the event as “an on all of us”. In an apparent reference to the Sky News spat between journalists Owen Jones and Julia Hartley-Brewer over whether the attacks were homophobic or instead, as the latter suggested, against “all humanity”, Reform Judaism urged that the attack be acknowledged as a “deliberate act of homophobic terror”. It also called for Jews to condemn “institutional prejudices and casual acts of disdain”, as well as explicit homophobic and transphobic violence. Earlier, the Senior Rabbi to Reform Judaism, Laura Janner-Klausner, spoke on Radio 4’s Thought for the Day about her gender non-binary child. She described the attacks as “close to my heart and to my central parental nervous system”. Her claim that “religious people, especially clergy”, were responsible for countering homophobia and transphobia was echoed – in the form of a re-tweet – by Keshet. Other Jewish individuals and organisations offered their condolences to the families on Tuesday morning. Jewish journalist Benjamin Cohen, chief executive of gay newspaper Pink News, said there was a continuum between feelings of hatred for LGBT people and this weekend’s “sickening violence”.